Your online enrollment letter is provided immediately after registration. Complete the course online. Go on and offline as often as you desire. Get your certificate of completion once you successfully pass the course. Take the nation's first online advanced driver improvement course to meet your traffic school requirement. You will find this course simple, easy-to-use, hassle free and the best way to get your license reinstated. 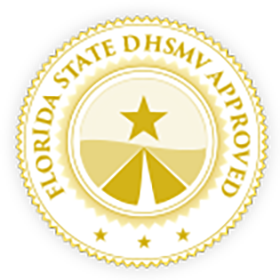 This ADI course is Florida State and DHSMV approved, so you don't have to worry about attending the traditional 12-Hour classroom course. Copyright ©, American Safety Council. All Rights Reserved.